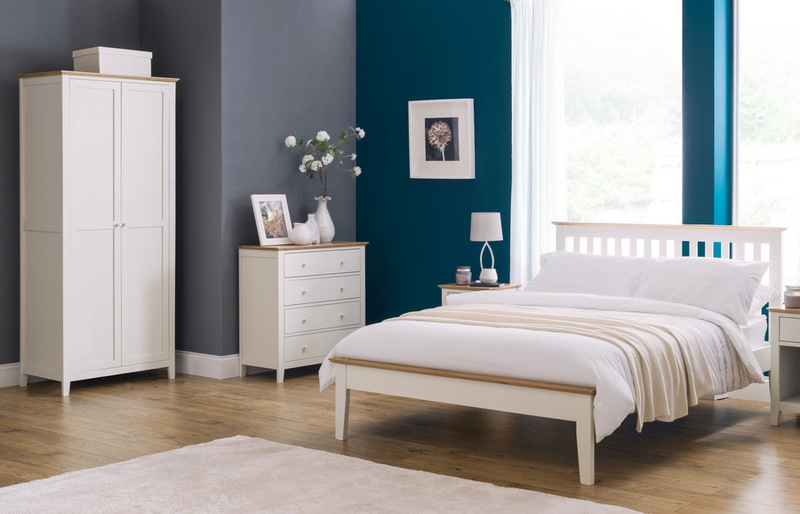 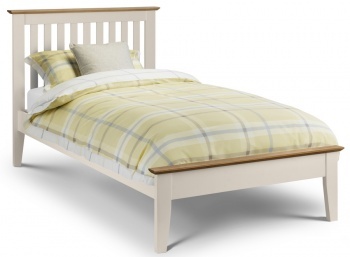 Attractive two tone single bed frame with a timeless shaker style. 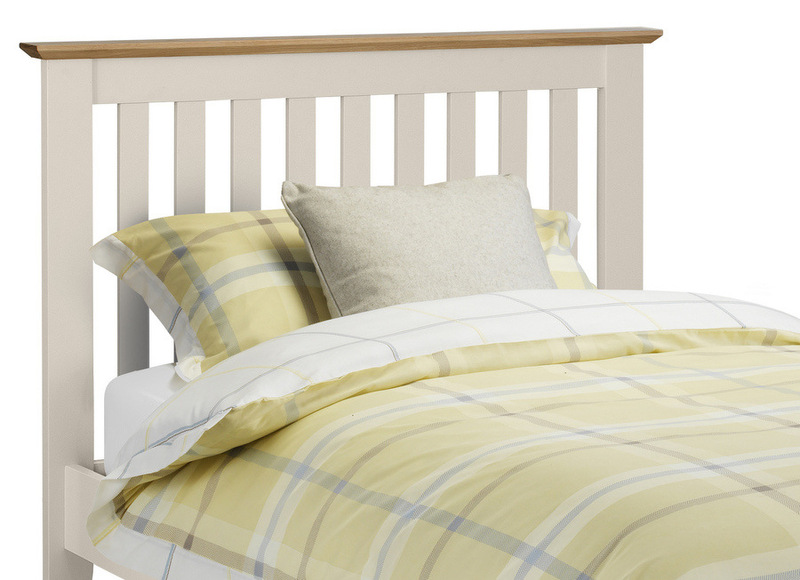 Slatted headboard, tapered legs and detailed capping add to the allure. 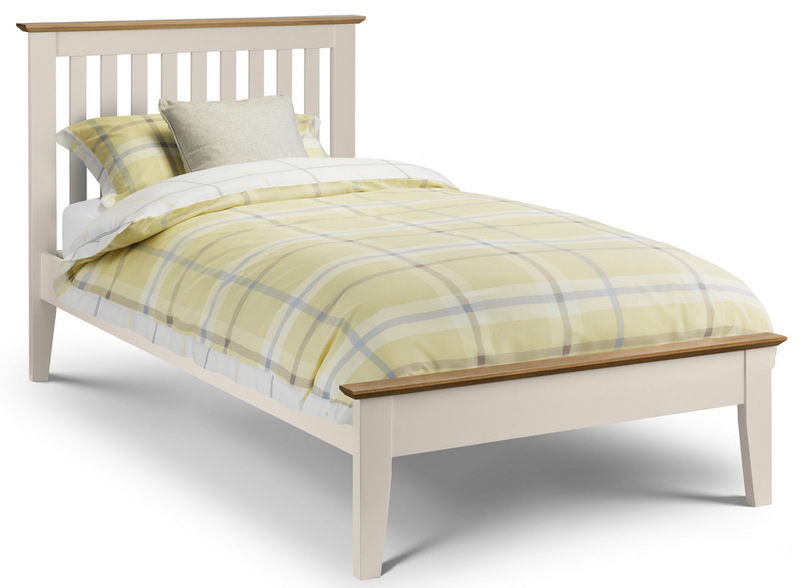 Constructed from wood and MDF with solid white American oak cappings. 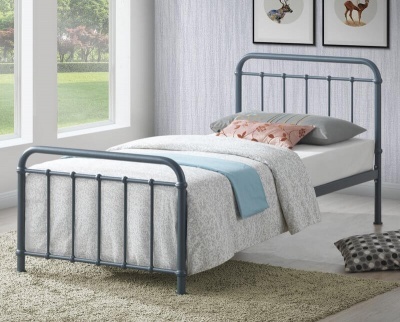 Sprung slatted base for a better nights sleep and extended mattress life.